 This month, the The Vue Apartments Blog is bringing residents of our Fitchburg, WI apartments ways to celebrate St. Patrick's Day with food at home or out on the town. Check out some amazing recipes and try out a local restaurant like Milio's Sandwiches, Perkins Restaurant & Bakery, or Pizza Pit. Read on to learn more in today's blog post. The thick, gravy-like sauce in this stew is incredibly flavorful thanks to the addition of the Guinness. To make this hearty stew, you will need beef chuck or brisket, salt, black pepper, minced garlic cloves, onions, bacon or pancetta, flour, Guinness beer, tomato paste, chicken or beef stock, carrots, celery stalks, bay leaves, and thyme sprigs. You don’t get much more traditional Irish than soda bread! Ingredients needed to make this dish include the following: all-purpose flour, kosher salt, baking soda, and low fat cultured buttermilk. Adjust the recipe based on whether you want the bread to turn out more fluffy or more chewy. Of course you could go the corned beef route and make this tasty Slow-Cooker Corned Beef Hash from Delish. Don’t forget dessert! Finish off your meal with this deliciously rich and creamy Chocolate-Irish Cream Cheesecake. This recipe is from Midwest Living. You’ll need chocolate wafers, butter, cinnamon, cream cheese, dairy sour cream, sugar, semisweet chocolate, eggs, Irish cream liqueur, whipped cream, and vanilla. If corned beef hash or other Irish food simply isn’t your thing, no worries! We’ve rounded up some Fitchburg area restaurants where you can have a tasty meal sans the Irish touch. Stop by the nearest Milio’s and eat a hearty turkey, roast beef, or ham sandwich. Learn more about the founder, "Big Mike" Liautaud, who has been in the restaurant business his whole life by clicking the link above. From humble beginnings with a hot dog stand, Mike has come a long way. As the About page on the website says, “Who knew trading in hot dogs for cold cuts in one small sandwich shop, would one day become what is now known as Milio's Sandwiches? Mike did . . . well maybe a hunch.” Milio's Sandwiches is about 0.5 miles from The Vue Apartments." Stop by Perkins on Damon road and enjoy a hearty meal. If you’re a breakfast person, they’ve got you covered with their signature pancakes. Learn more about this family-friendly restaurant from their website. “Ever since Perkins® started as a simple pancake house, there’s always been a drive to provide truly delicious plates and exceptional service. The menu has changed to keep our guest’s taste buds guessing, but our dedication to provide the best possible experience has not.” Perkins Restaurant & Bakery is about 1.3 miles from The Vue Apartments. The motto at Pizza Pit is “Fresh, Fast, and Hot Delivery,” — and they make it happen on a regular basis. The fact that they have been winning awards over the years, including best pizza in Madison (“Madison Magazine”) and best delivered food in Madison (“The Isthmus”) should come as no surprise. If you haven’t eaten at Pizza Pit lately, head on over for “the best pizza in town!” Pizza Pit is about 0.4 miles from The Vue Apartments. How do you plan on celebrating St. Patrick’s Day this year? Let us know by leaving a comment on this post. Thanks for reading. We hope you have fun, no matter how you choose to celebrate!